Without a doubt, Hibbett closed the year on a strong note. Net income for the 13-week period ended February 2 was $6.6, million compared with $9.7 million for the 14-week period ended February 3, 2018. Excluding non-recurring costs, non-GAAP net income for the period was $10.5 million and earnings per diluted share was 36 cents. Excluding non-recurring costs, non-GAAP earnings per diluted share were 57 cents for the period ended, easily beating Wall Street’s consensus estimate of 39 cents. Net sales for the 13-week period ended February 2, 2019, increased 14.7 percent to $306 million (including $49.1 million for City Gear), compared with $266.7 million for the 14-week period ended February 3, 2018, (including $13.5 million for the 53rd week). Comparable store sales increased 3.8 percent on a 13-week to 13-week basis. Comparable store sales will not include sales from City Gear until the fourth quarter of Fiscal 2020. E-commerce sales represented 10.6 percent of total sales for the fourth quarter. Footwear business increased double digits, with men’s and women’s footwear up in the double digits and kids up in the mid-single digits. Team sports business was down in the mid-single digits. E-commerce continued to grow, comping at 60 percent in Q4, with online footwear sales particularly strong. SG&A increased 225 basis points, mainly due to $2.8 million of non-recurring expense related to the City Gear acquisition and $0.3 million of non-recurring severance costs related to the reduction of 30 positions in the field organization and corporate office. The retailer on Friday also announced plans to close 95 stores this year as part of an “accelerated store closure plan” due to the continued evolvement of the retail environment. Hibbett said it is focused on improving the productivity of the store base while continuing to grow its omnichannel business to serve customers where and when they want to shop through its BOPIS and ROPIS programs. The company has decided to close approximately 95 Hibbett stores in Fiscal 2020 while opening 10 to 15 new Hibbett and City Gear stores. This is expected to result in non-recurring impairment and store closure charges in the range of 15 to 20 cents per diluted share in Fiscal 2020. Associates will be extended opportunities to transition to similar positions at other Hibbett stores wherever possible, the company said. Hibbett’s strong quarter (you can read much more by clicking here to read the full earnings report) and store closures aside, the big news from Friday morning was the announced retirement of Rosenthal, the company’s president and CEO (click here to read the full statement about the departure). The board will commence a search process to identify the company’s next CEO, and Rosenthal will remain at the company in his CEO capacity until a successor is named. But on Friday morning’s earnings call, Rosenthal was a bit more candid. “On a personal note,” he began, “I would like to let all of you know that I have made the incredibly difficult decision to move from my position as CEO of Hibbett. When I first came to Hibbett 20 years ago, we had 110 stores and about 1,000 employees, doing approximately $100 million in sales, and believe it or not, using dial-up for credit card transactions. “Today, thanks to the efforts and leadership of our incredible team, I’m proud to say, we are over $1 billion company. We have with over 1,100 stores and a digital presence equal to or greater than any in retail today. It has been an awesome ride and I’m proud to be part of it. There are so many people who helped me, who helped make this portion of my professional life meaningful. “I want to thank all of the Hibbett employees who have worked tirelessly to grow the business and each of our vendor partners who have supported us tremendously through the years. We would not be where we are today without all of you. Rosenthal has spoken with SGB Media on numerous occasions, including last year’s stories on Hibbett’s acquisition of City Gear, its BOPIS/ROPIS initiatives and its mobile app launch. 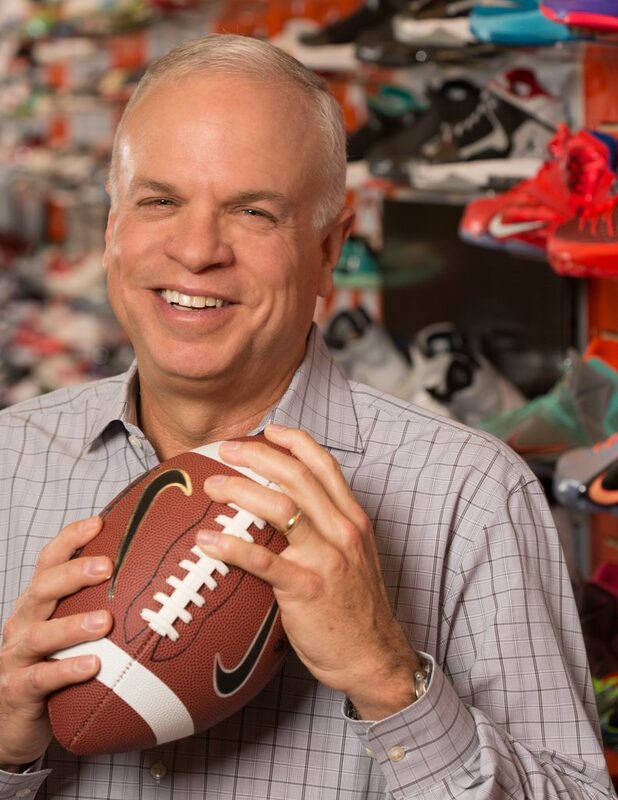 No matter the topic of discussion, however, it was always about the shoes for Rosenthal, and as he reminded analysts on the call, he will remain in the CEO position until a replacement is found, which could take six months or more. Even after that happens, however, not much will change. 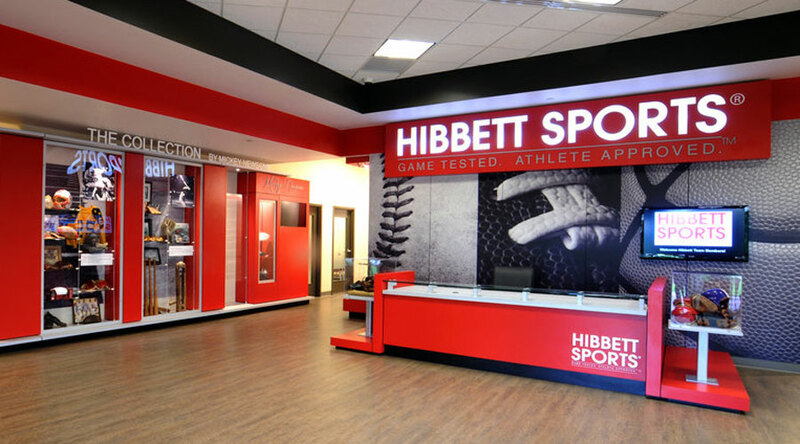 Photo courtesy Hibbett Sports Inc.